Springboard is a promising panel that is well worth signing up with. The company has partnerships with many of the largest household brands, government bodies and media organisations. They offer a low minimum payout of just £25 and fast convenient payments via UK cheque or Paypal. The Springboard UK panel is owned by a well respected market research company, Vision Critical who are based in London but also have offices all around the World. The company has partnerships with many of the largest household brands, government bodies and media organisations. By finding out your views and opinions through the panel, this information is then passed to the above organisations to help them better understand their customers needs. By joining the panel you will be invited to take part in online surveys on a wide range of topics. Some of these topics include public opinions, health, consumer goods, travel, technology or media issues. As a thank you for sharing your views and for the time you spend on each survey you will be rewarded with ‘survey cash.’ This survey cash can later be redeemed for cash via cheque or entries into cash prize draws. To get started you must complete the form on their homepage plus a short member survey. The member survey will ask for some basic information about yourself plus some information about your lifestyle and your household. Any profile information that you provide will be kept strictly confidential and will never be shared with or sold to as third party. After your member profile is complete you will be sent a confirmation email which you must click on in order to fully confirm your membership. 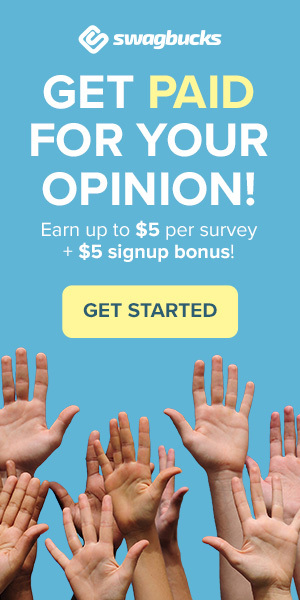 Once you are a member you will receive regular invitations to paying surveys via your email. Each invitation will include the length of the survey, how much survey cash is available and the date it must be completed by. Simply click on the ‘start survey’ link in each email to take the survey. Once you have finished your survey cash will be added to your account after the closing date. At any time you can login to your Springboard account to view how many survey cash you have accumulated. Most surveys that you take here will reward you between 25p and £2 each. You will always be told in the invitation how much you will be paid. If a survey is long and complex then you will be paid much more than the amounts above. Sometime you may get an invitation where the reward is a prize draw, if this is the case it will always be specified in the email. The draws usually offer prizes including £25 – £50 gift vouchers or £500 – £1000 in cash. As soon as you have 25 survey cash in your account you can cash out for a £25 cheque or a deposit into your Paypal account. Alternatively you can choose to donate your £25 to a charitable organisation. In our opinion Springboard is a promising panel that is well worth registering with. The only downside is that they do not send quite as many paid surveys as other market research sites out there. This is not as much a problem though as they do have a low minimum payout of just £25. When you do make a redemption your money is sent quickly and conveniently via a UK cheque or straight into Paypal. As far as we are aware Springboard UK closed down at the start of 2015 and any money you had was transferred to Maximiles. Your only option would be to contact them.